A scene in Madagascar in the late Pleistocene. From left to right: elephant bird (Aepyornis maximus), Malagasy giant rat (Hypogeomys antimena), melanistic giant fossa (Cryptoprocta spelea), monkey lemur (Archaeolemur), streaked tenrec (Hemicentetes), and koala lemur (Megaladapis). Madagascar had a highly diversified megafauna, as also occurred in other islands, quickly becoming defaunated because of human action and habitat destruction, starting very recently, ca. 2000 yr BP. For example, the Spiny Thicket Ecoregion (STE) of SW Madagascar was home to numerous giant lemurs and other megafauna, including pygmy hippopotamuses, giant tortoises, elephant birds, and large euplerid carnivores. Island frugivore faunas are much more phylogenetically diverse than continental ones; their frugivore assemblages are known as disharmonic because a given plant species may depend on distinct sorts of animal seed dispersers (e.g., lizards, birds, mammals) quite distinct in evolutionary history and likely not being complementary in their ecological functions. For example, only one-third of the lemur species which earlier occupied the spiny thicket ecoregion survive today. The extinct lemurs occupied a wide range of niches, often distinct from those filled by non-primates. Many of the now-extinct lemurs regularly exploited habitats that were drier than the gallery forests in which the remaining lemurs of this ecoregion are most often protected and studied. Recent evidence using stable isotope biogeochemistry has shown that most extinct lemurs fed predominantly on C3 plants and some were likely the main dispersers of the large seeds of native C3 trees; others included CAM and/or C4 plants in their diets. While the negative effects on seed dispersal of Pleistocene megafauna extinction in continental areas were probably buffered by complementary dispersers (e.g., scatter-hoarders, domestic megafauna, human use), island assemblages had not this option. Thus, if we seek instances of actual co-extinction of co-dependent frugivores and their food plants we may probably have to resort to islands, especially oceanic islands, or extreme habitats (e.g., deserts) where the mutualistic partners are highly disharmonic. Crowley, B.E., Godfrey, L.R. & Irwin, M.T. (2011) A glance to the past: subfossils, stable isotopes, seed dispersal, and lemur species loss in Southern Madagascar. American Journal of Primatology, 73, 25–37. Grubb, P.J. (2003) Interpreting some outstanding features of the flora and vegetation of Madagascar. Perspectives in Plant Ecology Evolution and Systematics, 6, 125–146. Jungers, W.L., Demes, B. & Godfrey, L.R. (2007) How big were the “‘giant’” extinct lemurs of madagascar? J. G. Fleagle, C. C. Gilbert (eds. ), Elwyn Simons: A Search for Origins. Springer, pp: 1–18. Shapcott, A., Rakotoarinivo, M., Smith, R.J., Lysakova, G., Fay, M.F. & Dransfield, J. (2007) Can we bring Madagascar’s critically endangered palms back from the brink? Genetics, ecology and conservation of the critically endangered palm Beccariophoenix madagascariensis. Botanical Journal of the Linnean Society, 154, 589–608. Text: Pedro Jordano; excerpts fromCrowley et al. 2011. Illustration: William Snyder @deviantart.com (Pleistocene Madagascar). Megafauna can be divided in two large groups in terms of food digestion: foregut and hindgut fermenters, depending on where in the digestive tract the ingesta is digested. Foregut fermenters include ruminants, pseudoruminants (i.e., hippo, camelids), just the hoatzin among birds, and the colobine monkeys, sloths, and some marsupials and rodents- all them have complex, multipart stomachs. Hindgut fermenters are monogastric herbivores. The very large megafauna are largely non-ruminants and may have either foregut or hindgut fermentation of food, with this having very important consequences for seed treatment. While the largest extant non-ruminant foregut fermenter is the hippopothamus, the largest terrestrial animals nowadays are hindgut fermenters, with the exception of large bovids: elephants, rhinos, equids, tapirs. Interestingly, the digestive tract of elephants is surprisingly short compared to other herbivorous mammals. Typical retention times of ingesta in elephants are below 50h; with Asian elephants achieving higher digestion coefficients on comparable diets, and having longer ingesta mean retention times, than their African counterparts. This is probably associated to the fact that intestine lengths of Asian elephants (~30m) nearly double those of African elephants (~15m) for a given body mass. The diversity of digestive systems among several types of mammal hindgut fermenters. a, peccary; b, pig; c, zebra; d, tapir; e, African elephant; f, Asian elephant; g, rhino. Tapirs, in the order Perissodactyla, are the closest extant relatives to equids and rhinoceroses, thus their digestive tract reportedly resembles that of horses. They both have a large caecum and proximal colon as fermentation chambers. In both the horse and the rhinoceros, the caecum and colon have approximately the same width. In contrast, the tapir also has a large caecum, but the rest of the large intestine—in particular, the ventral proximal colon— is less voluminous. The caecum of the tapir is its most voluminous gastro-intestinal section, suggesting that during the evolutionary history of tapirs, and in contrast to other extant perissodactyls, the caecum was the major fermentation site in the digestive tract. The caecum of rhinos, horses, and probably also tapirs may retain seeds for many days (kind of a side-storage of indigestible food), being suddenly evacuated in pulses. The browsing black rhinoceros (Diceros bicornis) has both shorter small and large intestines than the grazing rhinoceroses (Ceratotherium simum, Rhinoceros unicornis). Peccaries in contrast, are foregut fermenters, with a digestive tract characterised by an elaborate forestomach. Peccaries have a small relative stomach volume compared to other foregut fermenters, which implies a comparatively lower fermentative capacity and thus forage digestibility. The forestomach could enable peccaries to deal, in conjunction with their large parotis glands, with certain plant toxins (e.g. oxalic acid). This fascinating diversity of digestive strategies and food processing has undoubtely emerged from coevolved interactions with plants, either as antagonistic herbivores or mutualistic seed dispersers. Plants were benefited by megafauna evolving very large body sizes (especially among monogastric hindgut fermenters), yet with relatively short retention times that did not damage seeds, even with a lengthy digestion process; however, with more limitations to detoxify plant toxins compared to ruminants. Many of the extremely large extinct megafauna (e.g., Indricotherium, reaching up to 15000 kg body mass) were most likely hindgut fermenters with browsing habits and extensive use of fruit food. Ruminants, on the other hand, have been likely limited in their evolution to smaller body sizes (up to 1200 kg in some bovids, 2700 kg in hippos). All the very large ruminants (bovids, buffalo, zebu), but not the smaller ones (e.g., antelopes) lack the ability to reabsorb water in the colon and depend on the availability of drinking water. The combinations of digestive characteristics of monogastric hindgut fermenters supports their key ecologial functions for seed dispersal: 1) ample diversity of plant food species dispersed; 2) extremely large number of seeds dispersed due to huge gut capacities; 3) long seed dispersal distances due to long retention times with a distinct role of caeca; and 4) gentle treatment to seeds during mastication and digestion, favouring adequate germination potential of dispersed seeds in most instances. Photos: Kulpat Saralamba, Kim McKonkey, Mauro Galetti, Carlos R Brocardo, WikiCommons. Clauss, M. & Hummel, J. (2005) The digestive performance of mammalian herbivores: why big may not be that much better. Mammal Review, 35, 174–187. Clauss, M., Steinmetz, H., Eulenberger, U., Ossent, P., Zingg, R., Hummel, J. & Hatt, J.M. (2006) Observations on the length of the intestinal tract of African Loxodonta africana (Blumenbach 1797) and Asian elephants Elephas maximus (Linné 1735). European Journal of Wildlife Research, 53, 68–72. Hagen, K., Müller, D.W.H., Wibbelt, G., Ochs, A., Hatt, J.-M. & Clauss, M. (2014) The macroscopic intestinal anatomy of a lowland tapir (Tapirus terrestris). European Journal of Wildlife Research, 61, 171–176. Müller, D.W.H., Codron, D., Meloro, C., Munn, A., Schwarm, A., HUMMEL, J. & Clauss, M. (2013) Assessing the Jarman–Bell Principle: Scaling of intake, digestibility, retention time and gut fill with body mass in mammalian herbivores. Comparative Biochemistry and Physiology, Part A, 164, 129–140. Schwarm, A., Ortmann, S., Rietschel, W., Kühne, R., Wibbelt, G. & Clauss, M. (2009) Function, size and form of the gastrointestinal tract of the collared Pecari tajacu (Linnaeus 1758) and white-lipped peccary Tayassu pecari (Link 1795). European Journal of Wildlife Research, 56, 569–576. The diversity of moas was extraordinary, including nine (10, for some authors) species in six different genera, all them endemic to New Zealand. 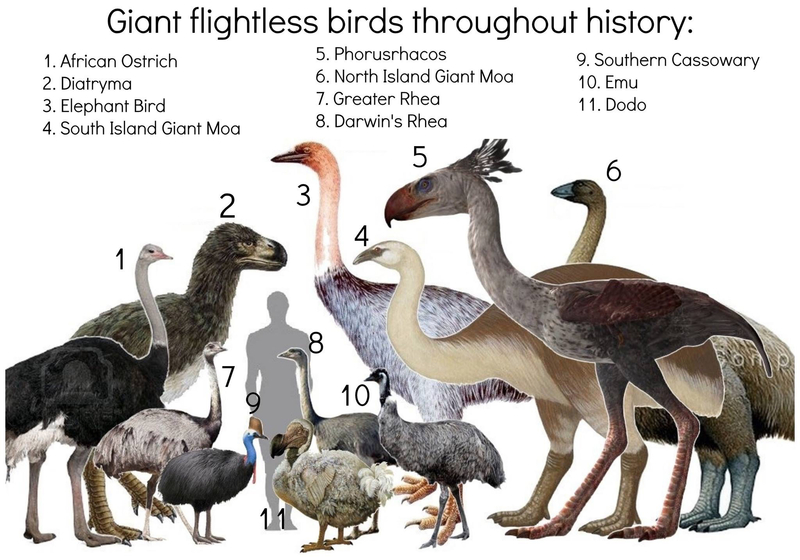 They nicely illustrate megafaunal birds, whose extant furgivorous relatives include cassowaries and, with partial frugivory, kiwis. Moas weighted 35-250 kg, becoming extinct ~1300-1440 yr BP due to overhunting. Moas included at least three distinct assemblages in the South Island during the Holocene: a wet western beech forest assemblage consisting of South Island giant (Dinornis robustus) and little bush (Anomalopteryx didiformis) moas; an assemblage from the relatively dry eastern forests and scrublands, consisting of South Island giant, eastern (Emeus crassus), heavy-footed (Pachyornis elephantopus) and stout-legged (Euryapteryx gravis) moas; and an assemblage from upland and subalpine areas consisting of South Island giant, crested (Pachyornis australis) and upland (Megalapteryx didinus) moas. The discovery in New Zealand of Late Holocene deposits of coprolites from these extinct avian megaherbivores has provided a unique opportunity to gain a detailed insight into the ecology of these birds across ecologically diverse habitats. Macrofossil analysis of 116 coprolites of the giant ratite moa (Aves, Dinornithiformes) reveals a diverse diet of herbs and low shrubs in both semi-arid and high rainfall ecological zones, overturning previous models of moa as dominantly browsers of trees and shrubs. Ancient DNA analysis identified coprolites from four moa species (South Island giant moa, Dinornis robustus; upland moa, Megalapteryx didinus; heavy-footed moa, Pachyornis elephantopus and stout-legged moa, Euryapteryx gravis), revealing a larger dietary variation between habitat types than between species. Most species of moa, if not all, included fruit in their diets, and may have been also important as dispersers of grass seeds. The new data confirm that moa fed on a variety of endemic plant taxa with unusual growth forms previously suggested to have co-evolved with moa. Lastly, the feeding ecologies of moa are shown to be widely different to introduced mammalian herbivores. The broad range of feeding strategies used by moa, as inferred from interspecific differences in biomechanical performance of the skull, provides insight into mechanisms that facilitated high diversities of these avian megaherbivores in prehistoric New Zealand. Atkinson, I.A.E. & Greenwood, R.M. (1989) Relationships between moas and plants. New Zealand Journal of Ecology, 12, 67–96. Attard, M.R.G., Wilson, L.A.B., Worthy, T.H., Scofield, P., Johnston, P., Parr, W.C.H. & Wroe, S. (2016) Moa diet fits the bill: virtual reconstruction incorporating mummified remains and prediction of biomechanical performance in avian giants. Proceedings of the Royal Society of London Series B-Biological Sciences, 283, 20152043–9. Bond, W., Lee, W. & Craine, J. (2004) Plant structural defences against browsing birds: a legacy of New Zealand’s extinct moas. Oikos, 104, 500–508. Burrows, C.J., McCulloch, B. & Trotter, M.M. (1981) The diet of moas based on gizzard contents samples from Pyramid Valley, North Canterbury, and Scaife’s Lagoon, Lake Wanaka, Otago. Records of the Canterbury Museum, 9, 309–336. Lee, W.G., Wood, J.R. & Rogers, G.M. (2010) Legacy of avian-dominated plant-herbivore systems in New Zealand. New Zealand Journal of Ecology, 34, 1–20. Wood, J.R., Rawlence, N.J., Rogers, G.M., Austin, J.J., Worthy, T.H. & Cooper, A. (2008) Coprolite deposits reveal the diet and ecology of the extinct New Zealand megaherbivore moa (Aves, Dinornithiformes). Quaternary Science Reviews, 27, 2593–2602. Wood, J.R., Wilmshurst, J.M., Richardson, S.J., Rawlence, N.J., Wagstaff, S.J., Worthy, T.H. & Cooper, A. (2013) Resolving lost herbivore community structure using coprolites of four sympatric moa species (Aves: Dinornithiformes). Proceedings of the National Academy of Sciences USA, 110, 16910–16915. Elephants are the major gardeners of the rainforest. Weighing around 4000 kg, they are more than twice as large as the next biggest sympatric animal species (the one-horned rhinoceros) and four times as large as the third-place finisher (the gaur, Bos gaurus). Current taxonomy recognizes two extant species of elephant, the African elephant (Loxodonta africana), with forest and savannah subspecies, and the Asian elephant (Elephas maximus). They disperse massive amounts of seeds in conditions adequate for germination and establishment of tree seedlings, with estimates ranging between 300-2000 seeds/km2/day depending on elephant species and habitat. Recent studies indicate that seeds taken from elephant dung germinated as well or better than seeds from bovid dung or directly from fruit. Elephants were calculated to move seeds up to 10 times as far as domestic bovids. When elephants are missing, there are no ecological counterparts to compensate their absence. The video from the Elephant Reintroduction Foundation nicely cartoons the type of mechanistic models that help us to estimate the ecological functions derived from mutualistic interactions between these megafrugivores and plants. An empirical probability model estimated that the loss of elephants would result in reductions of about 66%, 42%, and 26% in the number of successfully dispersed seeds of key species such as Dillenia indica (chalta), Careya arborea (kumbhi), and Artocarpus chaplasha (lator), without compensation. 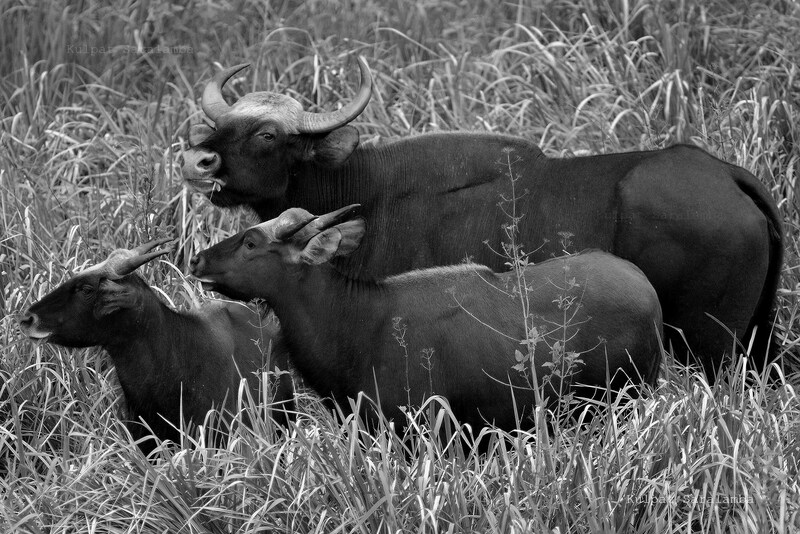 In compensation scenarios, other frugivores could ameliorate reductions in dispersal, making them as low as 6% if species such as gaur (Bos gaurus) persist. Thus the importance of elephants as seed dispersers is amplified by the population reductions of other large disperser species throughout tropical Asia. The African and Asian elephants are the exclusive or near-exclusive disperser of a considerable number of plant species. The loss of forest elephants (and other large-bodied dispersers) may lead to a wave of recruitment failure among animal-dispersed tree species, and favor regeneration of the species-poor abiotically dispersed guild of trees. – Beaune, D., Fruth, B., Bollache, L., Hohmann, G. & Bretagnolle, F. (2013). 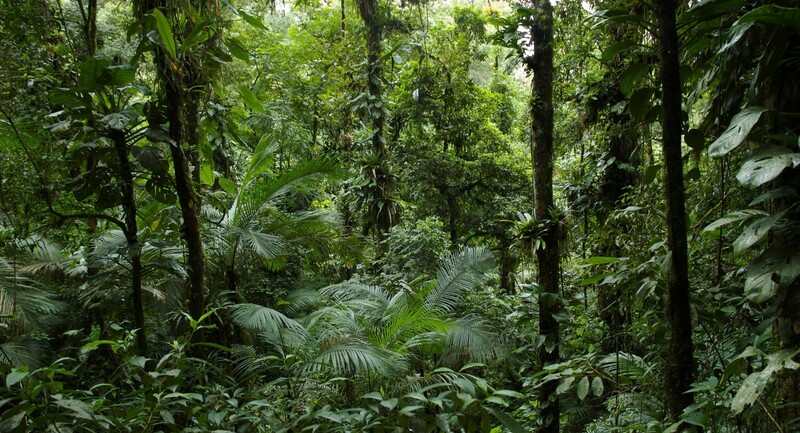 Doom of the elephant-dependent trees in a Congo tropical forest. Forest Ecology and Management, 295, 109–117. – Blake, S., Deem, S.L., Mossimbo, E., Maisels, F. & Walsh, P. (2009) Forest elephants: tree planters of the Congo. Biotropica, 41, 459–468. – Campos-Arceiz, A., & Blake, S. (2011). Megagardeners of the forest – the role of elephants in seed dispersal. Acta Oecologica, 37, 542-553. – Sekar, N., Lee, C.L. & Sukumar, R. (2015). In the elephant’s seed shadow: the prospects of domestic bovids as replacement dispersers of three tropical Asian trees. Ecology, 96, 2093–2105. – Sukumar, R. (2003). The living elephants: evolutionary ecology, behavior, and conservation. New York: Oxford Univ. Press.